It seems like Sanjay Dutt is in love with the comedy genre. 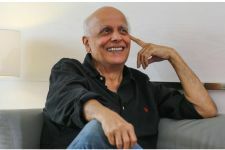 After his last two films No Problem and Double Dhamaal, his home-production Rascals is scheduled for an October release and before that he has Chatur Singh Two Star releasing today. That's four comedy flicks back to back; Sanju Baba is on a comedy roll! However, in spite of having Sanjay Dutt as its lead hero, Chatur Singh Two Star does not have much hype or anticipation attached to it. This might be due to poor marketing of the film considering quite a few are even unaware about its existence, or also maybe because it's alleged to be a Hindi version of the popular Steve Martin's Pink Panther leading to disinterest among the audience. Another reason might be the 'outdated' feeling, after filming for a long period of time and completing it in 2008, the film was further delayed for economic reasons. Reportedly, the film has finally seen the light of the day after Dutt's latest super hit Double Dhamaal. 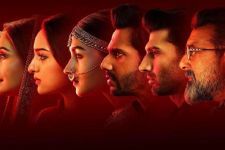 One doesn't really expect to match up to Double Dhamaal's success; however, will the film be able to emerge out as a box office success in spite of all the mentioned factors? Highly doubtful with such a poor product! He knows everything about nothing... and he's on a mission to destroy himself! He is Chatur Singh 2 Star (Sanjay Dutt), an infamous member of the Mumbai Police Department who, in his career, has been most successful at botching up cases and making a fool of himself. In spite of being a disgrace to the team, Chatur Singh has just been handed the biggest case in the department's history and of course, this is the perfect chance for him to prove everyone why he is the best officer they have. Chatur Singh takes off on the secret mission to South Africa and he immediately ensures that there is trouble for all... because he is the biggest trouble of all! His antics are hazardous to health and definitely likely to cause serious injury; he is absolutely clueless and yet he keeps stumbling on all the right clues thanks to a little help from the pretty Sonia (Ameesha Patel). His bumbling mannerisms, clumsiness and of course his 'super intelligence' sets off a string of hilarious events which lead to more chaos and confusion than anyone could have ever imagined. The criminals are on the run, with Chatur in close pursuit! Add to this chaotic fray, Pappu Panther (Suresh Menon), who is Chatur's right-hand or in this case "wrong-hand" man; he adores and worships his master Chatur, which makes him an even bigger idiot than Chatur himself! 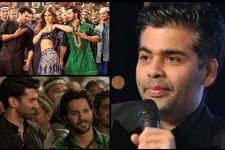 There have been numerous 'Bollywood masala films' made in the industry which are expected to have no logic, sense or sometimes even story in it. And it's absolutely fine, as long as it serves the main purpose of entertainment. Sadly, Chatur Singh Two Star is not even remotely close to being one of them. The biggest fright for any comedy film-maker would be the absence of laughs in the audience, that's the case here. Chattur Singh is just not funny! Apart from having absolutely no storyline, the humour intended to make people laugh has fallen absolutely flat. Be it the first half or second half, the script by Rumi Jaffery and Sai Kabir remains uninteresting and annoying! Director Ajay Chandok has wasted a fresh concept. The film could have been an excellent entertainer if treated in the right manner. At places, the direction also seems very amateurish. Dialogues by Sai Kabir don't work. 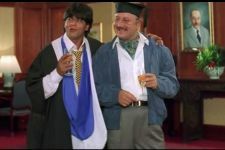 The funniest dialogue in the film was the clichd PJ of 'Made in China', that says a lot about the comic quotient in dialogues. The music by Sajid-Wajid is dull. In fact, the movie gets even more tiresome when the unnecessary boring songs come on screen. Cinematography by Rajeev Shrivastava is decent, matching the needs of the script. The screenplay by Rumi Jaffery is once again disappointing. Being adapted from the novel 'Chalak Jasoos', the film doesn't seem to be written as per cinematic requirements. Sanjay Dutt once again performs an author-backed role after Munnabhai, and fits the role perfectly. He has given his best; however, the script lets him down completely. Also, he looks old and dull compared to his other films. Surprisingly, it's refreshing to see Ameesha back on screen after so long. She's looking stunning, but except that, she doesn't have much scope. Suresh Menon is good as always. He has a great camaraderie with Sanjay Dutt, but again, the script is to be blamed. 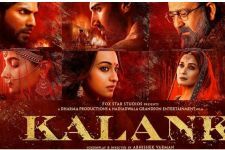 Anupam Kher, Satish Kaushik, Shakti Kapoor, Gulshan Grover, Vishwajeet Pradhan, Murli Sharma and Rati Agnihotri do their bits efficiently. Overall, the film might be only 2 hours long, but that's a torturous duration too. With unpopular music, lack of hype and only one sellable actor, Chatur Singh Two Stars had to mainly cash upon its content in order to be a success, which has failed too. With the rising popularity of sequels, this film too ended on a 'probable sequel' note. However, that definitely doesn't seem possible after this disaster. This 'Chatur Singh' definitely doesn't deserve 'two stars', be it in the film or for the film! Kareena - Small Town Statue?